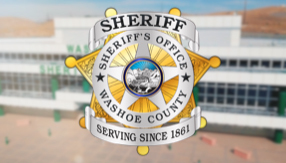 The Washoe County Sheriff's Office Bomb Squad personnel are members of a regional Consolidated Bomb Squad comprised of law enforcement personnel throughout the Truckee Meadows. These personnel are specifically trained in all aspects of explosive ordinance and the proper response to the threat posed by explosive devices. All personnel are WMD Tech certified and sworn as a U. S. Marshall. The Northern Nevada Federal Task Force was the first federal bomb task force in the nation. The 20-member unit consists of law enforcement personnel from Washoe County Sheriff’s Office, Reno Police Department, Sparks Police Department, Douglas County Sheriff’s Office, Tahoe/Douglas Fire Protection District, Elko Bomb Squad, Placer County Sheriff’s Office, and the FBI and ATF. There are also seven participating canines. The Northern Nevada Federal Task Force can be called to respond to any incident that involves explosive devices anywhere in the nation. The unit is qualified to do post-blast reconstruction and will assist with local teams or assist in investigations for agencies requesting help.